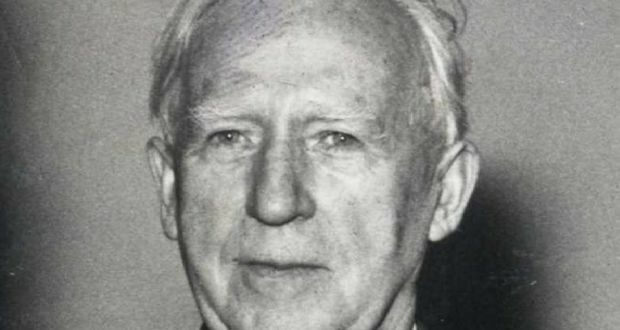 Ciarán D’Arcy (An Irishman’s Diary, May 5th) mentioned it only in passing, in connection with the more celebrated version at Limerick. But in fact the short-lived “Monaghan Soviet” of 1919 had the distinction of being Ireland’s first such commune – predating Limerick by two months. It’s also notable for another reason. Unlike communism in general, it was a triumph. It began when staff at the Monaghan Lunatic Asylum (as it was known), led by the Donegal union organiser Peadar O’Donnell, went on strike for better pay and conditions. They were working a 93-hour week and, among other impositions, had to remain on the premises between shifts. But the medical superintendent thought they had things easy, pointing out that they “get off every 13th day and every fourth Sunday from 10 o clock”. So, according to labour historian Anton McCabe’s account, they hoisted the red flag over the building and declared one of the first soviets outside Russia. As armed police descended on the town, they barricaded themselves in. In the meantime, in the role of acting governor, O’Donnell introduced a 48-hour week, sacked the matron for insubordination, and – he claimed afterwards – had a man found guilty of “defeatism” locked in a padded cell. The authorities had first offered a pay rise that excluded female staff, but the soviet held out for parity. Perhaps unsurprisingly, the women behind the barricades were said to have been even more determined than the men. The inmates too, echoing a well-known phrase, helped with the asylum’s takeover, exchanging clothes with strikers to facilitate the smuggling in of supplies. By the time the situation was raised in the House of Commons, on February 20th, 1919, the chief secretary was able to tell MPs that staff were back at work, pending a settlement. Whatever about the asylum being successfully conducted, the strike certainly was. Workers won a 56-hour week and a pay rise for men and women alike. Also, if they were married, they were henceforth allowed go home after their shifts ended. Of course it wasn’t just the treatment of staff in mental hospitals that needed reform. In the intervening years, among the more obvious changes, we’ve stopped calling such patients lunatics. From the 1950s onwards, the Monaghan Asylum was known as St Davnet’s Hospital. Today it’s the St Davnet’s “Campus”, with a much-reduced psychiatric facility and a range of other tenants. In fact, the former asylum’s long evolution is the subject of a just-published book – World Within Walls: From Asylum to Contemporary Mental Health Service. This was the fruit of an oral history project that will also inspire a year-long exhibition in Monaghan County Museum, starting next Thursday. Fascinating. Had never heard of this before! A 96 hour week! We have a long way to go for workers right, but we have come a long long way! I met Peadar O'Donnell a number of times in the early sixties. Father mcDyer Glencolumcille had set up a commmittee to improve the economy of the West - to encourage growing of vegetables and the export of these and fish. He was encouraging the formation of cooperatives to do this. I recall Peadar as a man full of ideas and very good company. The Belfast Engineering strike which began in Jan 1919 could be regarded as the first soviet. It was certainly far more extensive than the Monaghan Soviet. Many of the earlier soviets were very successful in their outcome. The major defeat occurred the with the defeat of the Munster Soviets in July/Aug 1922. Has anyone yet put together a decent book on the Irish Soviets?